A devastating brain injury can happen under both “expected” circumstances, as well as when you least expect it: A day skiing, a day playing in a sporting event. And the results can be life-changing. A brain injury is what caused the shocking death in 2009 of actress Natasha Richardson, due to a blunt impact to her head when she fell while taking a skiing lesson in Canada. Reportedly, she wasn’t even skiing, but standing fairly still, and slipped. That’s how a simple trip to the ski slopes wound up in disaster. A fall of “just a few feet”, can cause serious brain injuries. Brain injury cases are unique, complex, and challenging. Sometimes they can be classified as “mild”; sometimes “severe” and even “catastrophic.” Previously, brain injuries have often been referred to as the “unseen injury,” or the “invisible injury,” because not all brain injuries are caused by fractures to the skull or openly obvious wounds. When it came to scientifically imaging (i.e., seeing) brain injuries, previous medical technology was limited to x-rays – which could not discern or illustrate many injuries to the brain. More recent medical imaging technologies, however, such as PET Scans, CAT Scans and MRI’s, have enabled many brain injuries to be imaged and “seen” – representing major advances in diagnosis and treatment. Equally important, these technology advances have allowed us, as a Boston brain injury law firm, to secure the maximum financial damages possible for our clients. The Law Offices of William D. Kickham provides expert, veteran attorneys who are highly skilled at assessing the legal liability for a variety of brain injuries. We have obtained several very positive results for our Massachusetts brain injury clients, which you can see on our Proven Successes page. We know how to best advise clients in this area of law, we know how to hold responsible parties legally accountable, and we know how to obtain maximum financial damages for our clients. What Exactly is a Brain Injury? Defense attorneys and liability insurance companies like to term a variety of brain injuries as “mild.” At the Law Offices of William D. Kickham, we know from years of experience handling these cases, that brain injuries which a defendant or an insurance company considers "mild" are anything but "mild" to the accident victim. Brain injuries considered “mild” can often produce symptoms severe enough to disrupt memory, mood, and basic cognitive functioning. Medical science has come to accept that a person suffering a traumatic brain injury can become a completely “different person" after the injury, than he or she was before the injury – whether or not the skull was fractured or punctured in the process of the injury. Approximately 1.1 million victims are treated and released from a hospital emergency department. Our firm works with the best and brightest medical specialists available, using state-of-the-art medical equipment to determine the cause and effects of a variety of brain injuries. This is not only critical to obtain the best medical treatment available, but it is critical legally, in order to ascertain, prove and recover damages for brain injuries that have resulted from someone else’s negligence. We consult with recognized specialists across the United States in the areas of neurology, neuropsychology, and radiology. Who is Liable in a Massachusetts Brain Injury Case? Obviously, “negligence” is a central and determining factor in these (and all Massachusetts personal injury) cases. Since brain injuries can be caused by a variety of reasons and factors, determining whether or not negligence exists in a given case, and thus whether a given case should be brought forward to recover damages, will require a situation-specific and fact-specific legal analysis. Our Boston brain injury attorneys are experienced experts in this field of law, and can guide you or your loved one toward the best legal course of action to recover damages for the brain injuries that have been suffered. As to who may be liable for a brain injury, a number of possibilities may exist – all dependent on the specific facts of the case. If the brain injury was caused by a defectively designed or manufactured sports product (such as a helmet,) the manufacturer and associated businesses that designed and marketed the product may be liable. If the injury was caused by a motor vehicle accident or collision, the other driver may be held liable. If the brain injury was caused by a work-related event, the employer and related businesses may be held liable. If due to a prescription drug, the pharmaceutical company and its marketing affiliates may be held liable. If due to a fall (such as on a walkway or balcony or porch,) then the property owner may be held liable. The precise answer to these questions will be answered after a fact-specific analysis and investigation, which our office specializes in prior to commencing litigation. Our Boston brain injury lawyers are veteran experts who know how to sift through the details of exactly what happened in the accident, to determine liability. Then, we go about securing the maximum amount of damages legally possible under the facts and the law. We get the best results possible for our clients, and our impressive results show this. If you – or someone you love – has suffered a brain injury due to someone else’s negligence, it is extremely necessary to have an experienced Boston brain injury law firm on your side. Our brain injury attorneys know that a person with a brain injury may seem to be fine and healthy – even able to walk, talk and hold conversations – and yet, is actually not well at all. The Law Offices of William D. Kickham & Associates understands this, and is keenly aware of all of the legal steps that need to be taken, in the wake of a traumatic brain injury. We have expert knowledge about how brain injuries can occur, and we zealously devote all of our legal efforts to successfully getting our brain injury clients the financial compensation they deserve. As specialists in the field of brain injuries, our firm knows that the symptoms and signs of a traumatic brain injury (TBI) can be very subtle. Symptoms following a TBI may not become apparent until days or even weeks after the injury occurred. In some cases, the symptoms may be overlooked altogether as victims may appear to be healthy, even though cerebrally that may not be the case at all. The Centers for Disease Control (CDC) estimates that a minimum of 5.3 million Americans, or approximately 2% of the U.S. population, need long-term care to help perform daily living activities as the result of a TBI. TBI can cause a wide range of intellectual and emotional changes that impact thinking, language, emotions and sensations. TBI also known to cause epilepsy as well as increase the risk for neurological conditions such as Alzheimer’s disease, Parkinson’s disease, and other brain diseases. We know the tremendous damage that brain injuries can cause. Our brain injury lawyers in Boston, Massachusetts don’t take each case as “just another case.” We fight aggressively for our brain injury clients, to secure the maximum financial compensation they are entitled to. If you or a family member has suffered from a brain injury, the first – and critically most important step -- is to seek appropriate medical care at a hospital or emergency room. Second, contact our office for a FREE INITIAL CONSULTATION, by calling us at (781) 320-0062 or (617) 285-3600, or click here to send us a confidential email. 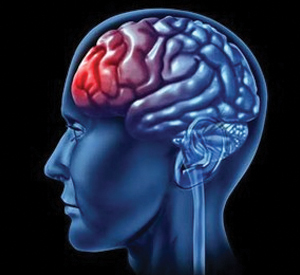 We will respond promptly to your call or email about your brain injury. If necessary, we can travel to your hospital, nursing home or private home, to help assess your legal options. All of our brain injury cases are taken on a contingency fee basis, which means that you will pay absolutely NO LEGAL FEES unless we win your brain injury case. For more immediate information about how to best proceed following a variety of Massachusetts personal injuries, including brain injuries, click here to receive our FREE article, “The Top 10 Things To Do After Suffering An Accident Or Injury In Massachusetts.” This document discusses the legal steps recommended after you or your loved one has suffered an injury in Massachusetts due to someone else’s negligence. In this FREE document, you’ll discover how to best move forward following such an incident. If you have heard of Boston, Massachusetts injury lawyer William D. Kickham it’s because he is a well-known legal commentator for prestigious local and national media. He has made media appearances as a legal analyst on Court TV (now In Session on HLN,) Fox News TV-25/Boston, The Boston Herald, WBZ-AM Radio 1030, WCVB-TV5/Boston, Nightside With Dan Rea, Greater Boston With Emily Rooney, Money Matters Radio/Boston, and The Metro Newspaper/ Boston. The media and respected reporters call on Attorney William Kickham for legal analysis, because they know he is a respected expert in the field of Massachusetts injury law. Put that expertise and experience to work for you or your loved one. You will be glad that you did.